Mt. Takao is a popular hiking retreat for urbanites – within one hour of central Tokyo, several routes, including one paved all the way (perfect for those elderly types who buy all the essential hiking gear which never seems to get dirty, much like suburbanite Australians driving big 4WDs to the shopping centre and no further), and two options to bypass the steepest slopes: a funicular and a chairlift. At just 599m, there is no way Takao deserves a titular “Mt.” (And I have NO qualms about mocking people who list it as a “mountain” they’ve climbed – especially when I suspect they made half the trip by means other than their own two feet.) On the other hand, it is a good daytrip to get away from the city and actually have the opportunity to encounter something different. This year has seen a marked increase in the number of hikers needing to be rescued from the 599-meter high Mt. Takao in Hachioji, Tokyo, with 43 people in 41 incidents having been rescued this year as of Tuesday compared with 26 people rescued in 20 incidents last year. The rise is being attributed to a spike in the number of beginner hikers attempting to scale the mountain without appropriate gear. 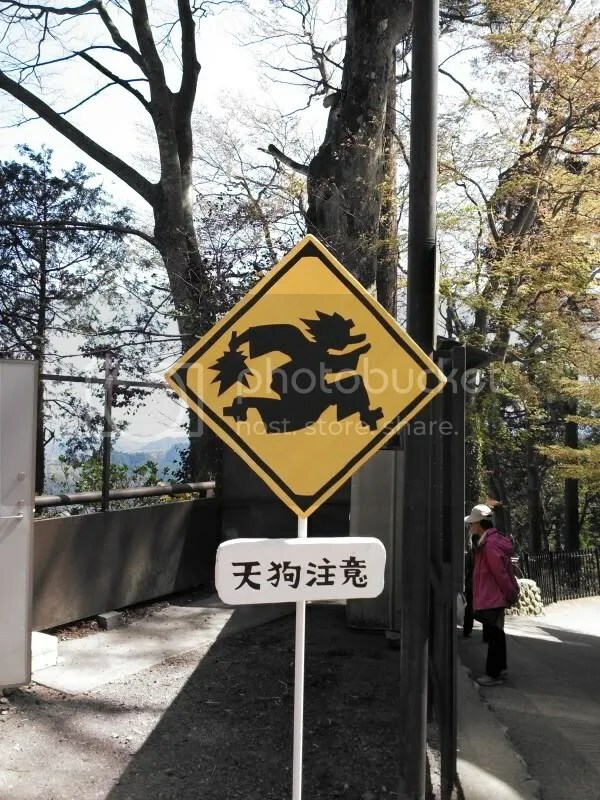 However, others argue the spike in rescues is due to a spike in climbers triggered by the mountain being featured in the most recent Michelin guidebook on Japan, published in April. The guide gave the mountain three stars as a tourist spot. Mt. 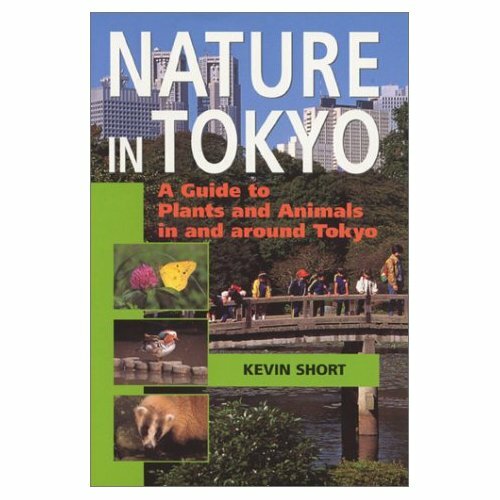 Takao is located about an hour from central Tokyo by train and has many easy routes for beginners. A recent boom in mountaineering helped push the number of visitors to the mountain to about 2.5 million people last year. Michelin published in French “Voyager Pratique Japon” in April, which features 820 sightseeing spots across Japan. Noting that Mt. 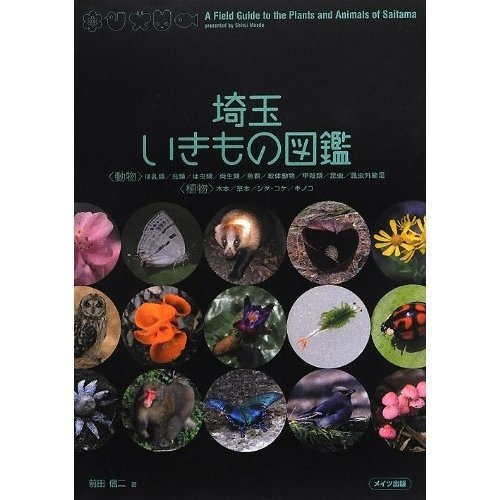 Takao is “located close to a big city, but is richly endowed with nature,” the guidebook gave the mountain its highest rating of three stars. Mt. Fuji was the only other mountain to garner three stars. According to the tourism section of the Hachioji municipal government, in November about 250,000 tourists came to view autumn leaves, about 25 percent more visitors compared with the same period last year. 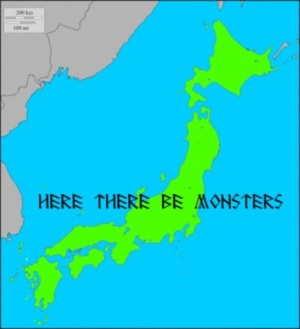 The guidebook is believed to have partly contributed to this increase. 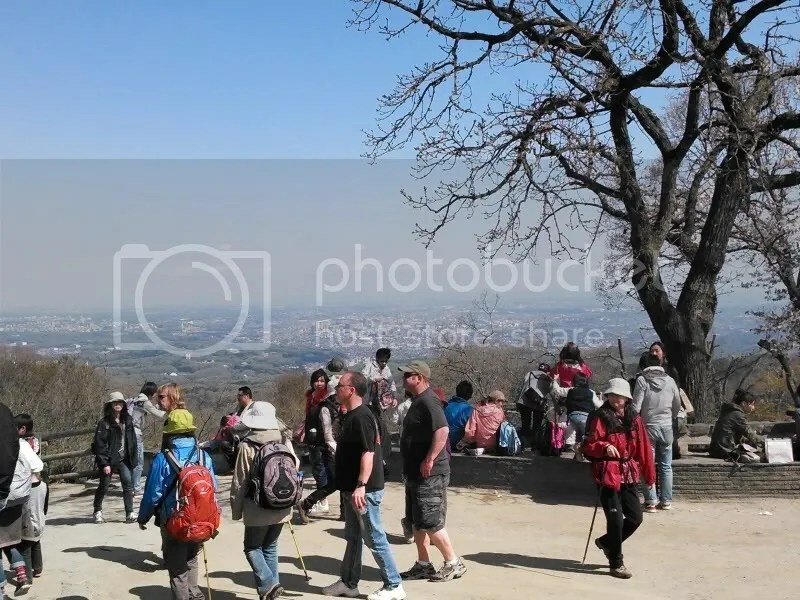 English, Chinese and Korean guideposts were set up in September at the start of hiking trails in response to the increase in foreign visitors. However, the increase of hikers also has increased the number of accidents involving hikers, such as getting lost and falling down slopes. According to a survey by the Metropolitan Police Department’s antidisaster division, about 15 to 20 incidents a year were reported for the past three years until last year. However, over 40 incidents have been reported this year. In June, Takao Police Station started a mountain rescue unit. Many of those who have needed rescuing have been beginners attempting to climb the mountain with little planning, including being dressed in clothing unsuitable for hiking. In October, a 51-year-old man dressed in a suit and leather shoes asked to be rescued after he began climbing in the afternoon and was unable to follow the trail after it got dark. In November, a 49-year-old drunk man was injured after falling about three meters. A 37-year-old man had to be rescued after suffering dehydration after trying to ride up the mountain on a bicycle without drinking water. Although the peak of the hiking season has already passed, many hikers visit a temple near the top of the mountain during the year-end and New Year’s season and to see the sunrise on Jan. 1. Kenichiro Maruyama, head of the mountain rescue unit, has a warning for reckless hikers. “If you underestimate Mt. Takao, you may lose your life. You must prepare rain gear, survival food and a flashlight at least,” he said. I had the kids in tow, so anything other than the paved No. 1 route was out of the question (but I made the kids climb the whole way, heh, heh.) One positive thing that can be said about the paved trail is that it discourages hikers from leaving it, and prevents further damage to the local ecosystem. Plants grow right up to the trail edge, and it was good to see my kids take an interest in their surroundings. 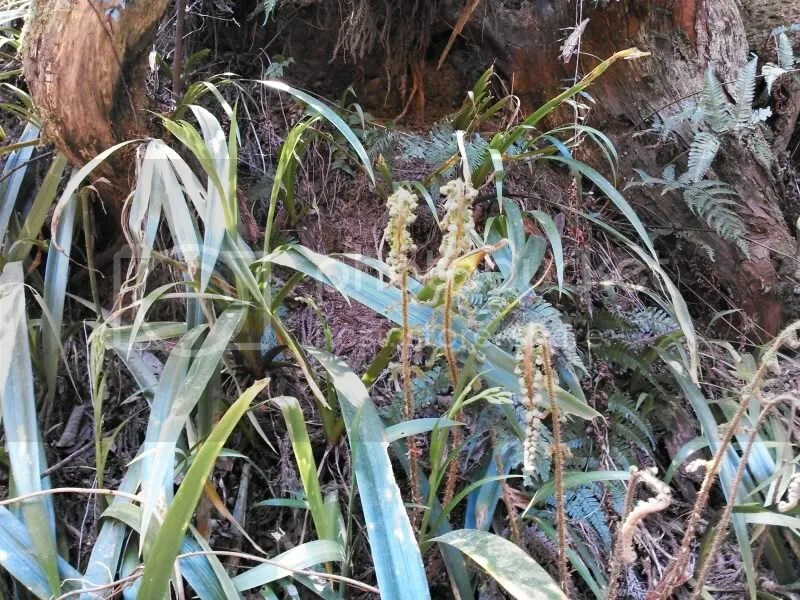 Of particular interest to the kids were bracken ferns with their new spring fronds, the acauba with their large red berries, and the cobra lily urashima, which was a new experience for me too. Fronds, particularly those from Pteridium aquilinum – known as warabi (蕨) – and Osmunda japonica – known as zenmai (薇) – are a common food product here, and it is lucky that collecting plants is forbidden on the mountain hill, otherwise these areas would be virtually strip-mined and we’d have hordes of middle-aged to elderly women trampling all over the place. With fronds like that, who needs enemies? I can’t identify the type of fern or bracken, but the fronds caught the attention of my kids. 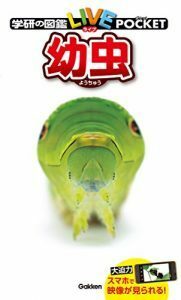 The aucuba (Aucuba japonica) is a plant I only knew by its Japanese name, aoki (青木) learning its English name while researching for this post. Actually, aucuba is a latinization of aokiba, a regional name for the plant. It thrives even in the shade of broadleaf canopies, and the large red berries are rather attractive. 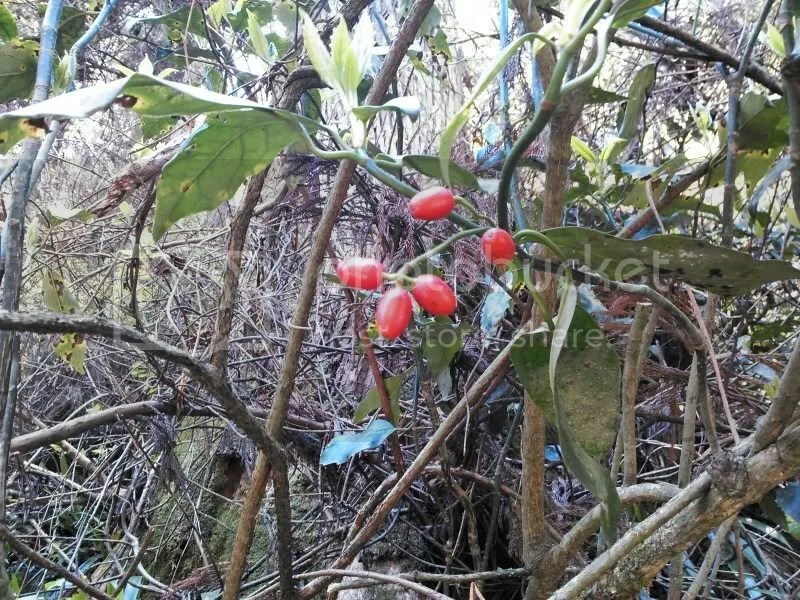 The large berries (over 1cm long) of the acauba. 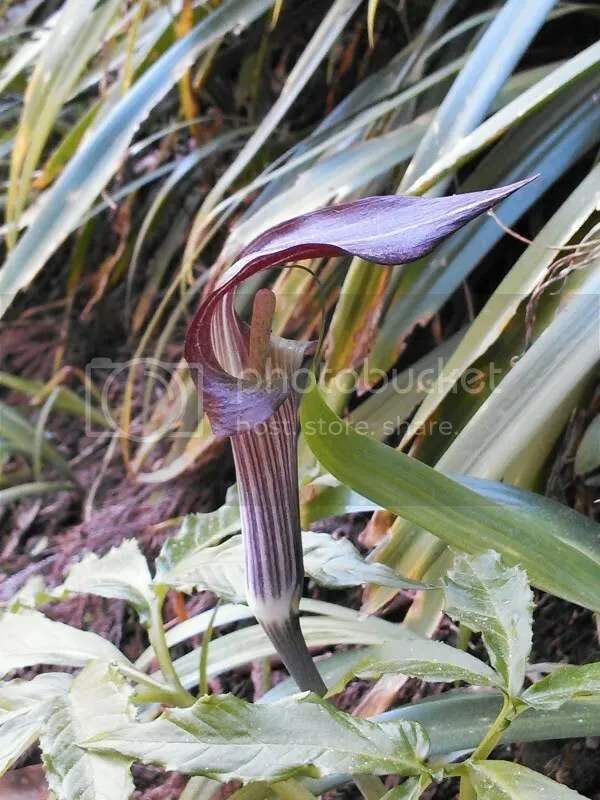 The cobra lily Urashima may be a subspecies of Arisaema thunbergii, or a separate species (Arisaema urashima), depending on who you listen to. Ah, nomenclature wars. After spotting this plant (OK, actually the kids spotted it and pointed it out to me, but let’s not get hooked up on details), I dived into my guide book and thought it may have been the crowdipper (Pinellia ternata), although the crowdipper lacks the purple colouring. Later reading suggested that the crowdipper, which is an early import from China, was very similar in appearance to the cobra lily Urashima. The latter, a native, has a purple tinge. 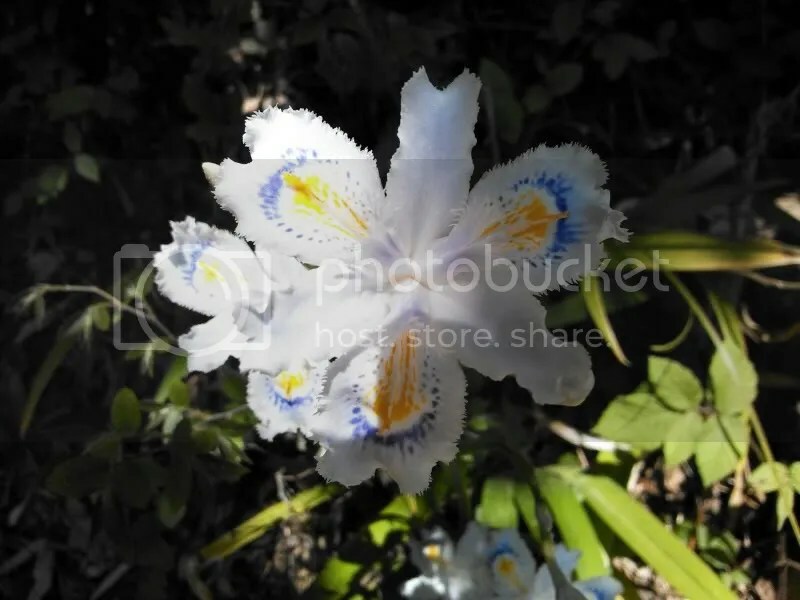 Furthermore, this plant was listed on the official Takao website. The local name is urashimaso (浦島草) – literally “Urashima grass” – and the most widely accepted reason is the long spadix appendix (try saying that quickly!) 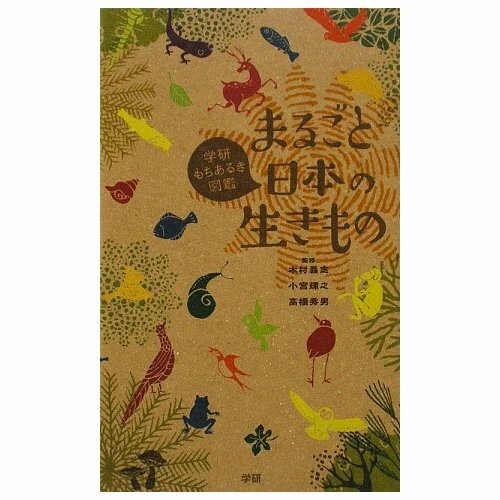 which brings to mind the fishing rod and line of the fairy tale character/folk hero Urashima Taro. The flower and sapix of the cobra lily Urashima. The appendix can reach up to 60 cm in length. I was hoping to encounter some fauna other than Homo sapiens, but the vast majority of creatures preferred to be heard than to be seen. Bush warblers made their presence known, and at a spring (where water trickled out of the rock face) we could hear frogs calling. 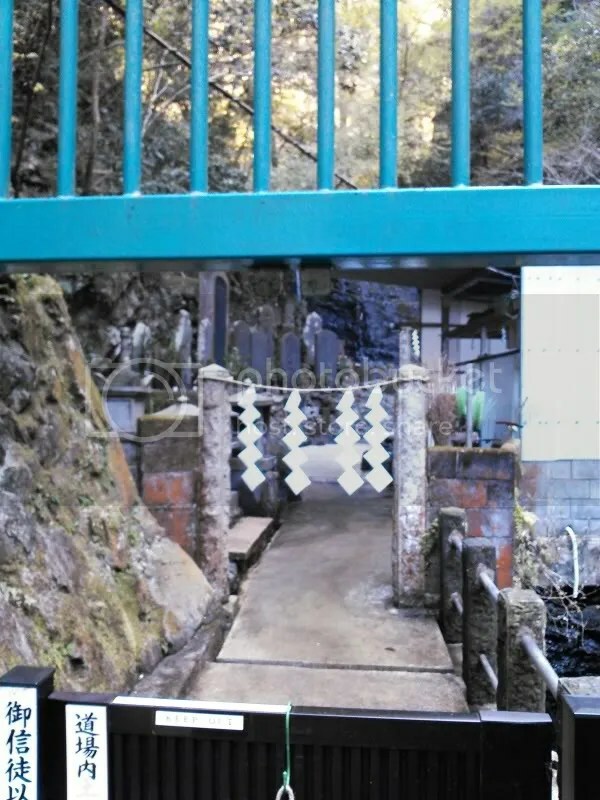 Takao has a long association with the Shugendo religion, and the Takaosan Yakuonin Temple of one of the Shingon branches is a major drawcard for visitors. 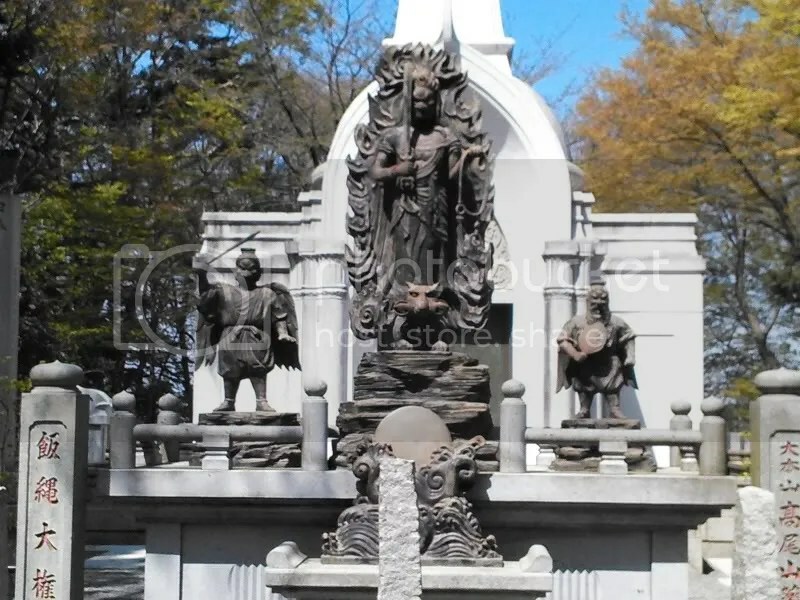 Because it is a sacred mountain hill, small shrines and statues line the trails and temple grounds. 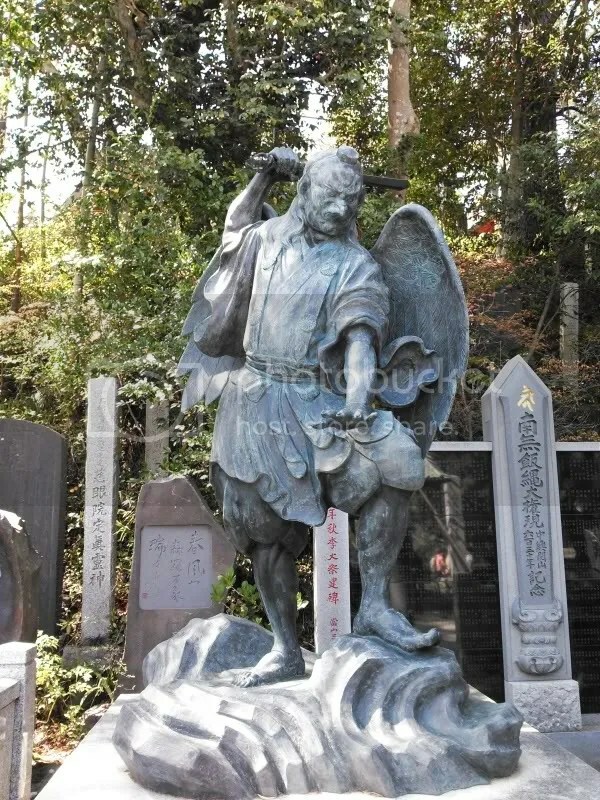 But the most famous icon is the tengu. 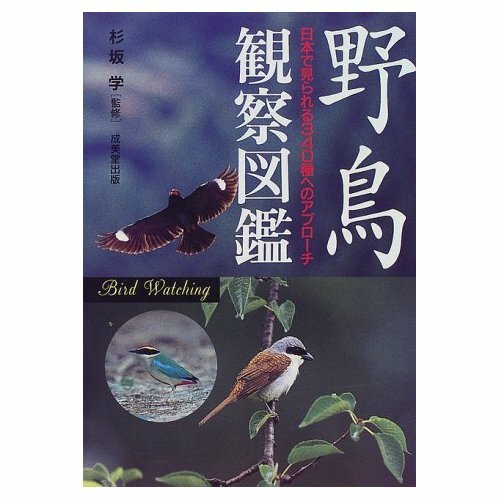 I won’t go too deeply into tengu beyond the two main types, tengu (a red-faced, long-nosed mountain spirit) and the karasu-tengu, which has the face of a crow. 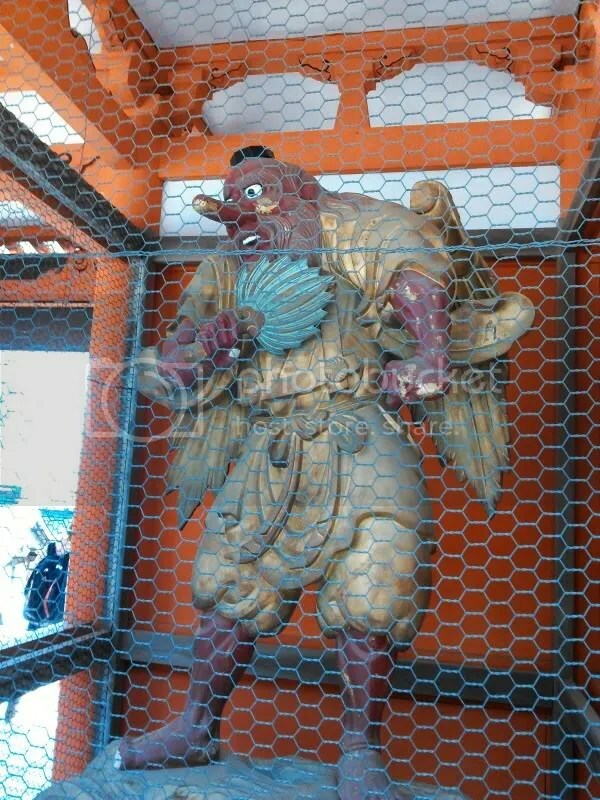 Tengu acting as guardians to the fierce-looking Buddhist diety. Karasutengu. This and the previous photo were taken within the temple grounds. 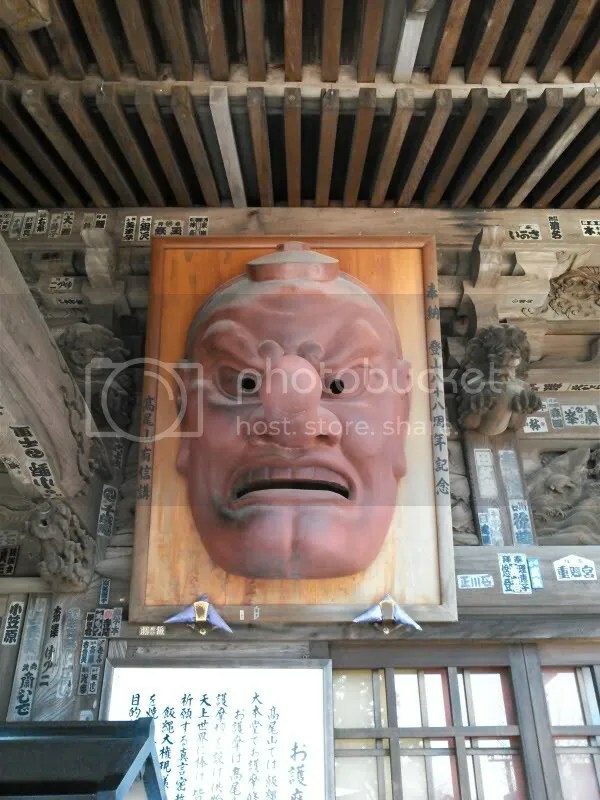 Giant tengu mask to the right of the entrance of the main temple building. And on the left, karasutengu. 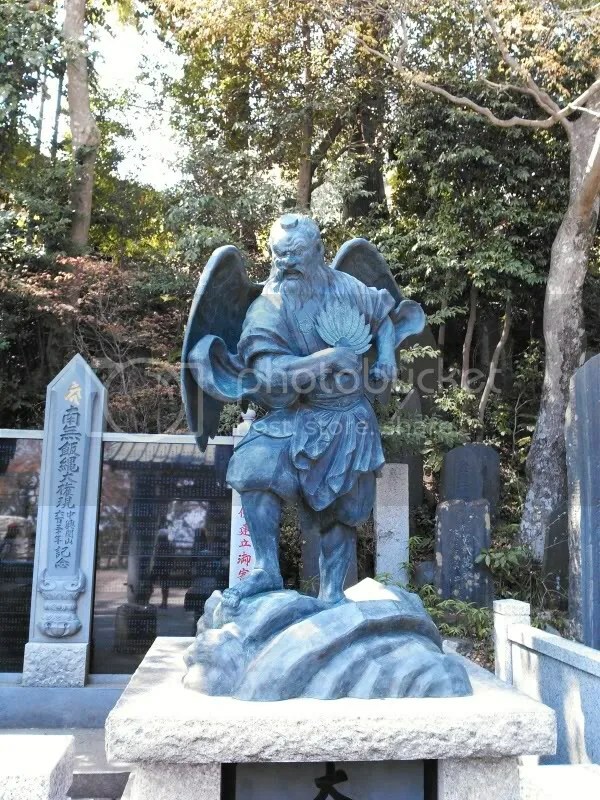 A tengu as on of the Nio statues. 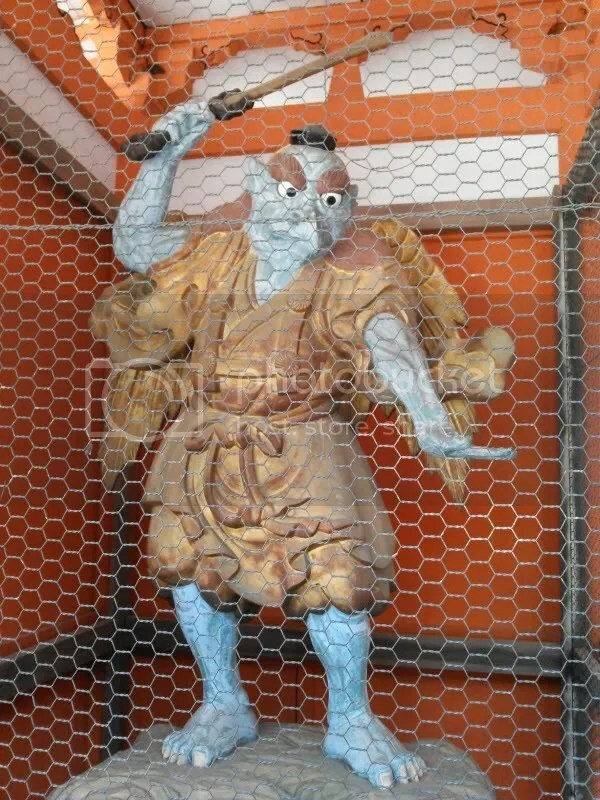 A karasutengu as the other Nio statue. Another element of the supernatural on Mt. 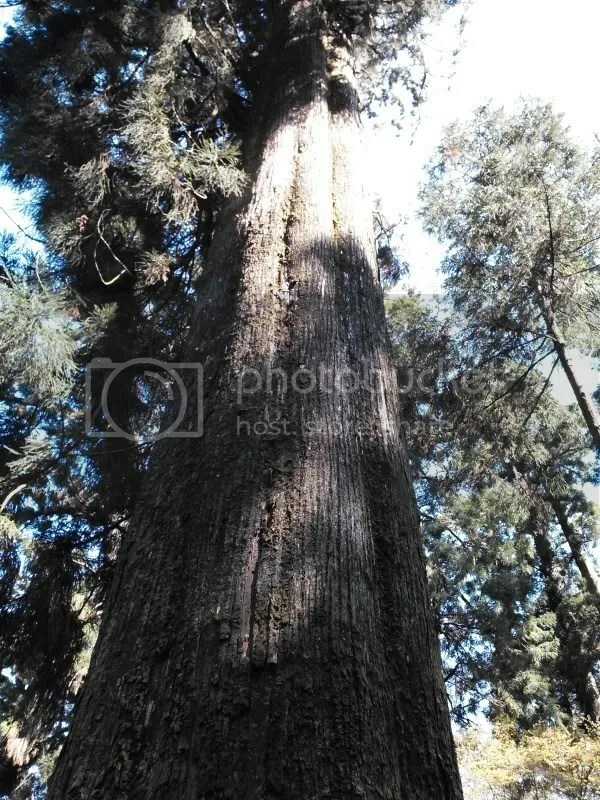 Takao is the legend surrounding the Takosugi (“Octopus cryptomeria”). Apparently, the roots of a large crytomeria tree were blocking the construction of a path for pilgrims. A couple of variations exist, but the main gist is that the tree wrapped its roots back behind its trunk – in a single night – reminding people of an octopus. 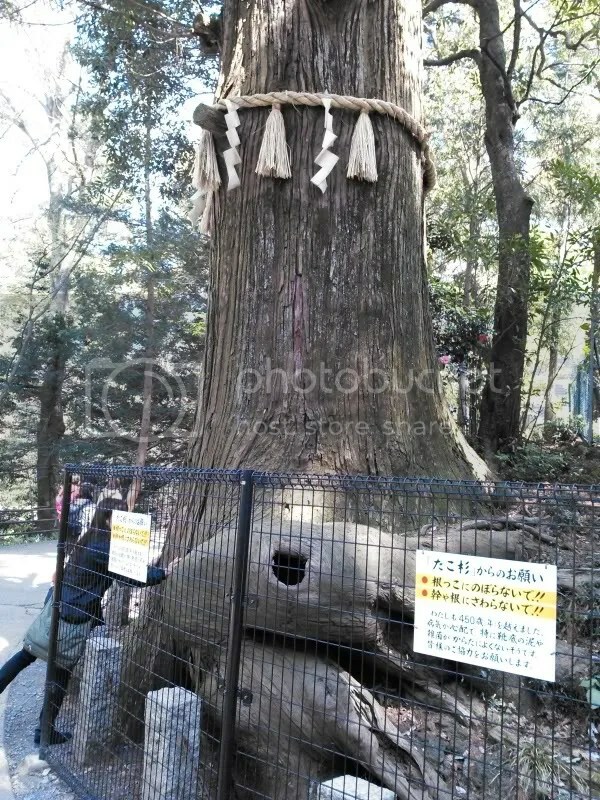 One variation of the story is said to date back 600 years, even though the tree in question is believed to be 450 years old. A large crytomeria tree, over 30 metres tall. There are lots of these near the temple. The “Tako Sugi” (蛸杉). See how the roots have turned back around the trunk instead of spreading out. The person in the picture gives you some idea of the size. Unfortunately, the roots have been fenced off to avoid further damage from hikers touching them. We celebrated our climb to the summit (all 599 metres, he says cynically) with some overpriced ice cream, before deciding which route to take down. I managed to convince the kids that taking a dirt trail leading to a suspension bridge would be more interesting – which it was. View from the summit. That’s downtown Tokyo in the background. We also encountered plenty of gold-banded lilies (Lilium auratum). 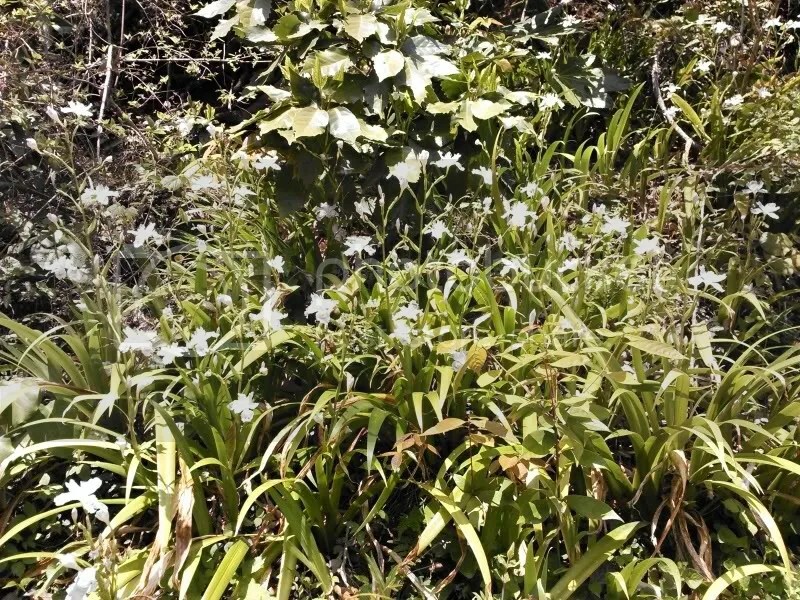 These attractive flowers are natives to Japanese mountains and hills, and appropriately have the name yamayuri (山百合), literally “mountain lily”. Apparently, the bulbs and shoots of these plants were a food source in ancient times, and even today are sold as vegetables in supermarkets. A cluster of immature gold-banded lilies. A signpost at a trail junction pointed to the Ja Waterfall. Even though that path would not lead back to our station, meaning it would be a return trip, my eldest decided she would like to see the waterfall. The fall itself was not particularly spectacular, but there was a “mizugyo” dojo, for the ascetic practice of sitting or standing under a waterfall while reciting sutras or prayers. 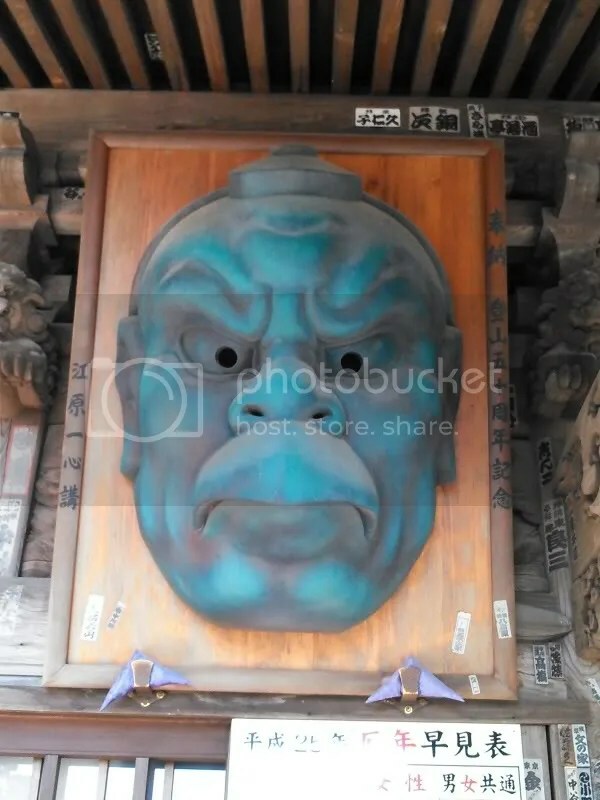 We saw someone, clearly having a connection with the temple, leave the dojo. Someday I would like to try mizugyo/takigyo/takiuchi – provided it is in summer! A short rest and then the climb back to where we left our original path. My youngest decided he was too tired to climb, so I had to carry him part of the way. We made it back to route number 1, and it was downhill all the way. And murder on my knees! Mt. Takao is not a mountain. But it is a mountain of fun for those around Tokyo who want to get away for a day. This entry was posted in Suburban wildlife and tagged flowers, folklore, hiking, Mt. 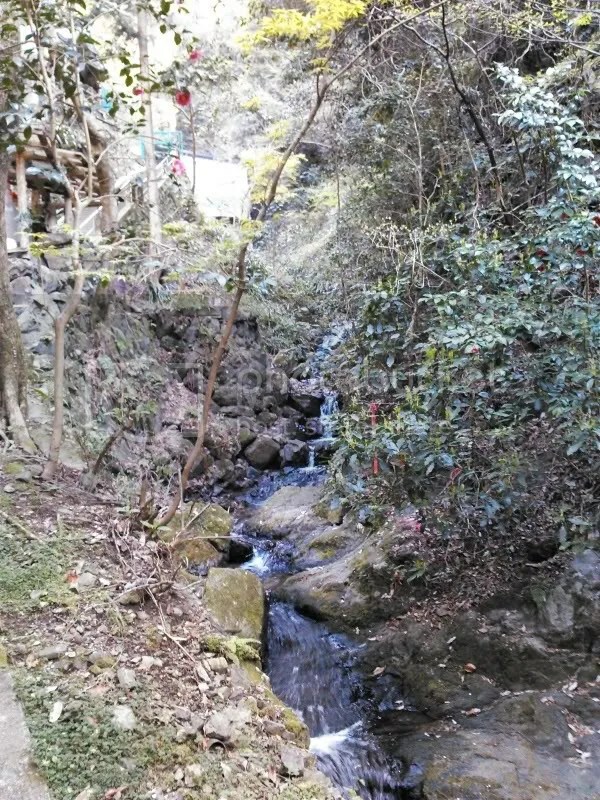 Takao, trees. Bookmark the permalink.